YEREVAN, Armenia – On November 19 of this year, the American University of Armenia (AUA) celebrated its 25th anniversary with a spectacular gala held at the landmark Beverly Wilshire in Los Angeles, with over $1.5 million being raised to benefit AUA’s scholarship funds. 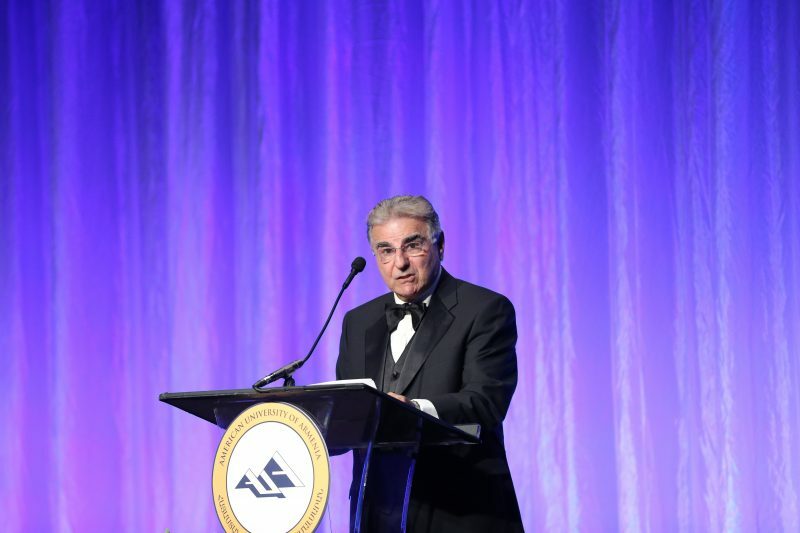 The most memorable highlights of the evening included long-awaited announcements made by Dr. Armen Der Kiureghian, AUA President, naming several of the University’s academic units after its extraordinary benefactors who have greatly impacted the course of AUA’s history through years of dedication and support. 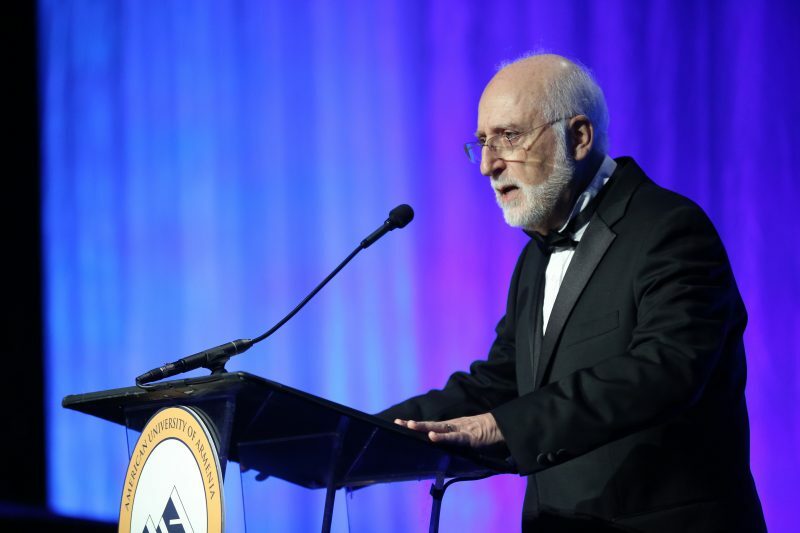 During the gala event, in the words of Dr. Der Kiureghian the first recognition was made in honor of Mrs. Louise Manoogian Simone, “for her decisive role in the founding of AUA and her extraordinary generosity towards the University since its inception.” The President then announced that effective immediately, the AUA College of Business and Economics was officially named Manoogian Simone College of Business and Economics in recognition of a special endowment that Mrs. Simone has established to support the College. Lousine Manoogian Simone was born in Detroit, Michigan. She began her volunteer work in her early adult years at several civic and cultural institutions, while raising 3 children. In the late 1970s she moved to New York City, where she volunteered at the Armenian Diocese and the Armenian General Benevolent Union (AGBU). In the mid-1980s she traveled to Armenia with her parents for the opening of the Alex and Marie Manoogian Museum in Holy Etchmiadzin. The country was a revelation to her and from then on she traveled to Armenia at least twice a year. 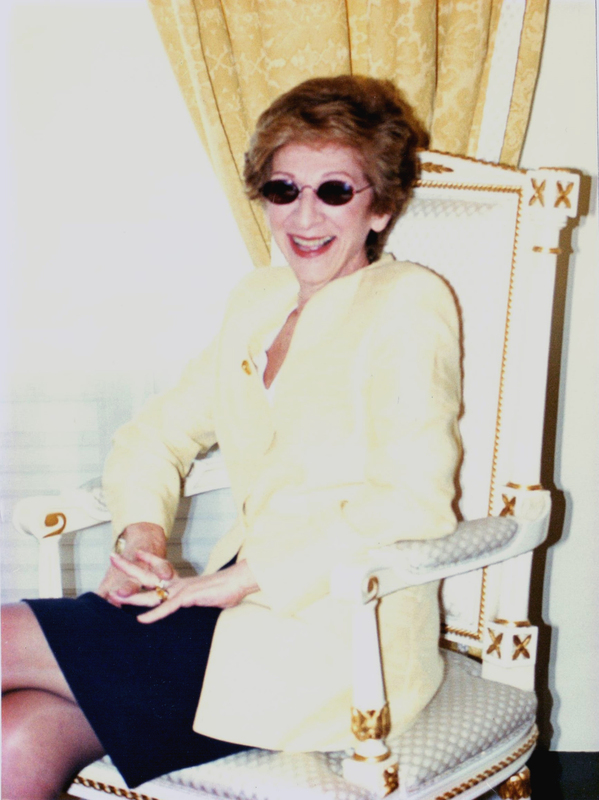 She was elected as the President of AGBU in 1989 and served in this position until 2002. During this period, she had decisive role in the founding of AUA. She provided funding for the University in its initial years, was instrumental in engaging in the University of California in establishing the new university, and it was through her efforts that the Armenian government under President Levon Ter Petrossian and Speaker of the Parliament Babken Araktsian granted the use of the Congress Hall of the Communist Party to AUA. Louise is a recipient of the Grigor Lusavorich Medal from His Holiness Vazken I, Medal of Mesrop Mashtots by the State Order issued by the President of Armenia, and the Ellis Island Medal of Honor. A second dedication was announced in recognition of the generous support provided to AUA over the years by benefactors Mr. & Mrs. Zaven and Sonia Akian. Dr. Der Kiureghian noted that, “the couple has established scholarships for hundreds of students and provided crucial support for constructing and furnishing the Akian Art Gallery at AUA, as well as numerous other projects.” Hence, the AUA College of Science and Engineering was named Zaven P. Akian College of Science and Engineering in appreciation of all the support demonstrated by the Akians, along with a special endowment they established for the College. Zaven P. Akian was born in Beirut, Lebanon. After graduating from the International College, he moved to the United States and attended Adelphi University in Long Island, receiving a B.S. in Mathematics and Physics. Later he attended graduate programs at UCLA in Applied Mathematics and MBA, but his education was interrupted by active duty service in the U.S. military. Zaven has acquired or founded several companies, including Western Filter Corporation, Puroflow Corporation, Integra Technologies, and FluiDyne. His companies provide critical hardware for U.S. military aircraft and submarines, as well as for NASA for discovering a flaw in the diffuser of a flight system and for its successful engineering solution. Zaven and his wife, Sonia, have been generous supporters of numerous Armenian and non-Armenian institutions, both in the United States and Armenia. At AUA, they have established the Akian Scholarship program, which has benefited hundreds of students. They also provided funds for the construction and furnishing of AUA’s Akian Art Gallery. Among many other awards, Zaven is a recipient of the Medal of Gratitude by the State Order issued by the President of Armenia and the Grigor Lusavorich Medal from His Holiness Karekin II. The final announcement made by Dr. Der Kiureghian was in appreciation of “the vital support given to AUA by Mr. & Mrs. Gerald and Patricia Turpanjian, which includes scholarships to over 3,000 students, support for the Turpanjian Center for Policy Analysis, and the establishment of the Turpanjian Rural Development Program.” The President announced the naming of AUA’s School of Public Health as Gerald and Patricia Turpanjian School of Public Health in recognition of a special endowment established by the Turpanjians for the School. Gerald Turpanjian is the eldest child of Armenian Genocide survivors Hagop Turpanjian and Baidzar Pinajian. Upon graduating from high school in Lebanon, he immigrated to the United States, where he graduated from the University of Southern California (USC) in International Relations. Many years later, he endowed the chair in Contemporary Armenian Studies at USC. Gerald was the founder, CEO and president of Pacific Sales Kitchen and Bath Centers, which became the nation’s largest retailer of luxury kitchen and bath appliances. In 2006, a Fortune 100 company acquired Pacific Sales. Mr. Turpanjian is the president of TF Educational Foundation and has been active supporter of many philanthropic, educational and religious organizations in the U.S., Armenia and Nagorno-Karabakh. His main focus has been to promote democracy, free enterprise and entrepreneurship in Armenia. Among other programs, he established the Turpanjian Rural Development Program in partnership with AUA in order to offer educational and economic opportunities in rural areas of Armenia, Karabakh and Javakhk. He also established the Turpanjian Scholarship Program at AUA, which has granted over 3000 university scholarships. 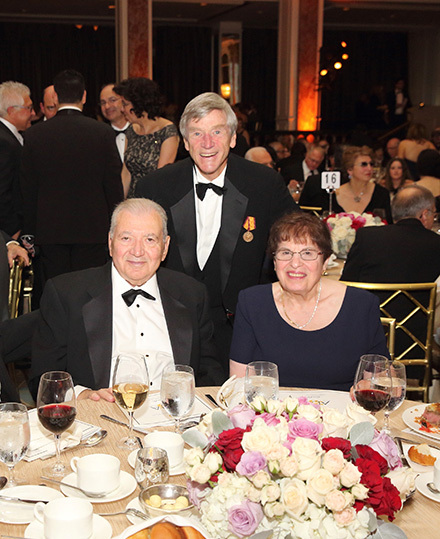 Among many other awards, Gerald is a recipient of the Grigor Lusavorich Medal from His Holiness Karekin II, The Order of Honor from the Republic of Armenia and the Ellis Island Medal of Honor. Ms. Lousine Manoogian Simone, Mr. and Mrs. Zaven and Sonia Akian, and Mr. and Mrs. Gerald and Patricia Turpanjian are long-time benefactors of the University. The AUA community is proud to name the aforementioned colleges and school in recognition of their extraordinary support of the University and in appreciation for specific endowments that they have established to benefit these academic units. With continued contributions like these AUA will continue to realize its goal of making Armenia a global destination for high-quality education and research.